**Township offices will be closed for regular business on all election days! The Township Clerk’s Office will be open from 9:00 am to 5:00 pm on the Saturday before each election, to pick up an Absentee ballot and to register to vote. Absentee voters can request a ballot be mailed to them until 2:00 pm on the Friday before the election. After that, absentee voters can obtain a ballot, to be voted at the Township's Clerk’s Office, until 4:00 pm on the Monday, before the election. The last day to request an Absentee Ballot is the day before the election, but you must come into the hall and complete the paperwork, and complete your ballot in the hall at that time. Would you like to become an Elections Inspector? We are hiring for Election Inspectors, please click the following link, or come into our office to fill out an application. Would you like to vote with an Absentee Ballot? 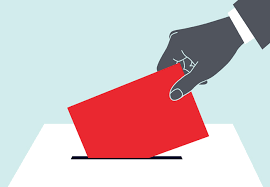 CLICK HERE for an application for the May 2019 election. Print it and return to the China Twp Clerk. **You will need to put in your name and birth date to access the ballot wording. The link will ask you if you are registered, but below it states it will show you a sample ballot. Did you recently celebrate your 18th birthday? Congratulations-you can vote! Register at www.michigan.gov/vote. 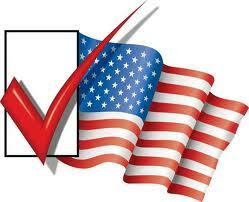 If you would like to vote absentee, you need to complete an application for every election. 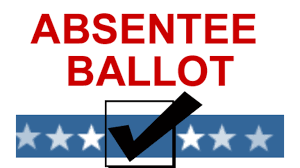 If you would like to be put on the list to receive an absentee ballot for any election, please contact the Clerk or Deputy Clerk, you will be put on a list to receive an application for the next election. New voters must register to vote at least 30 days before an election. When you move to another municipality, you must re-register to vote. If you move within China Township, you can call the Township office at 810-765-1145 ext. 207 and speak with the Clerk to have your registration changed. You may also change it at any Secretary of State office. You can download the Voter Registration Application if you have never registered to vote and return it to the St Clair County Clerk's office. Every Michigan voter who offers to vote in the polls must comply with the new requirement by showing picture identification or signing an affidavit attesting that he or she is not in possession of picture identification. The new voter identification became effective in November 2007. Michigan election law anticipates that not all voters will have picture identification. Voters who do not bring picture identification to the polls or do not possess picture identification can still vote like any other voter by signing an affidavit. The Michigan voter identification requirement does not apply to absentee voting. Absentee voters do not need to show picture identification to request or return an absentee ballot. As noted above, you qualify to be on the Permanent Absent Voter List. When on this list, you will automatically receive an absent voter application for every election. If you choose to return that application, we will send you a ballot as soon as they arrive in our office. You must turn in a new application each year, you will not automatically be sent a ballot with out completing the applicaiton. 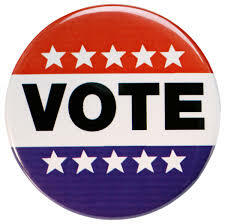 Election Days: The polls are open at the Township Hall from 7 am to 8 pm on the days of elections. To obtain an absentee ballot, simply stop by the Township Office prior to the election, or call the Township Clerk, Dan Turke, at 810-765-1145 ext. 207. The Offices are open Monday ~ Thursday, 8am-5pm.